Her cup of love will runneth over when she receives this small token of love. 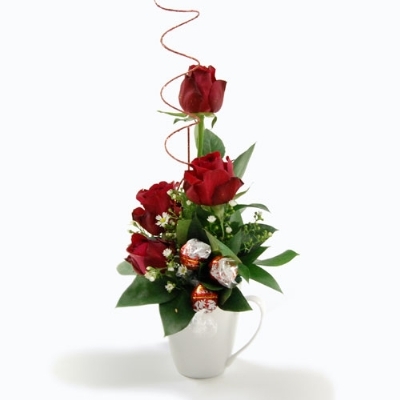 Designed in a coffee mug that she can use at the office afterwards, this gesture of love includes 4 red roses and a few melt-your-heart Lindt chocolates. 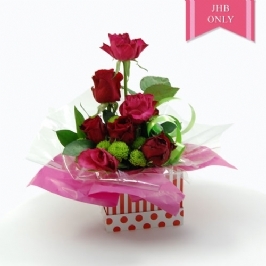 Earliest delivery date is Tuesday 23 April 2019. 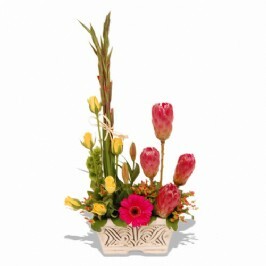 No deliveries available on Friday 19 April 2019 - Monday 22 April 2019 due to the Easter Weekend.